Senior Ramón Ochoa has been chosen to represent Rocky Mountain College’s music department as Vice President of the National Association for Music Educators (NAfME) for the state of Montana. If all goes according to plan, Ochoa will move a step up and represent RMC as the President of NAfME during the 2016-17 school year. It has been over thirteen years since Rocky Mountain College’s music department has been represented at a state level. 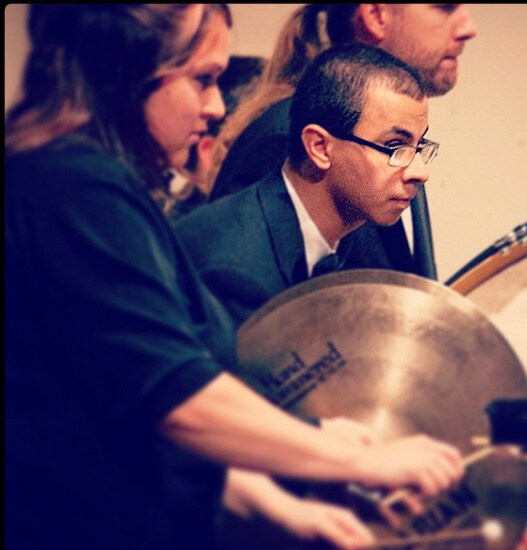 RMC senior Ramon Ochoa will represent the college through a state-wide music association. The National Association for Music Educators collaborates with music educators in the state of Montana as well as educators across the nation. The organization’s main goal is to teach current educators and children about music, and to provide knowledge about the different forms of music and classroom teaching for music education majors in the state of Montana. All RMC music majors have the opportunity to impact the community through opportunities with NAfME. Tony Hammond, a music professor at RMC, said that he wants to encourage not just music education majors, but general music majors, such as performance and private teachers, to become a part of NAfME. “It serves them too positively for them not to be involved. NAfME focuses on three things: communication, cooperation, collaboration. These three focal points provide many benefits such as developing leadership qualities, developing professional relationships, being exposed to other organizations, staying connected, and having mentors and friends for life, and building a great support system. I wouldn’t be where I am now without NAfME-Collegiate,” Hammond said. Each music major has the opportunity to be a part of this national and state organization. Being a part of this organization also opens doors to join other music related organizations. Ochoa said that being a part of NAfME has led him to great opportunities. He was not only elected as vice president of the organization, but he has had the chance to be on-call for the Billings Symphony for two years and was contracted this year. He started his sophomore year of college as an oncall percussionist whenever they needed him, and was contracted to play as a member for the 2015- 2016 school year. 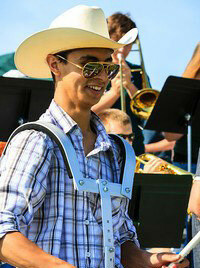 “I have known since eighth grade that I wanted to be a music teacher,” Ochoa said, “and NAfME has helped me in many ways to become the teacher I want to be.” Ochoa said that he is proud to be representing Rocky Mountain College at the state level, and he believes that this organization shows just how much work music professors and teachers put into their students. NAfME is an encouraging organization to join for any prospective music educators. To become a member of this incredible organization, visit the NAfME website at www.nafme.org. If you would like to learn more about NAfME or have questions, contact Kassidy at 406-750-4068 or Ramón at 425-373-6579. This entry was posted in Vol 3 Issue 12 and tagged Jazmin Mitchell, Music, Music Education, music teacher, NAfME, ramon ochoa, RMC, Tony Hammond. Bookmark the permalink.